SEATTLE – Amazon.com Inc (AMZN.O) is negotiating to lease 20 Boeing Co (BA.N) 767 jets to start its own air-delivery service next month, seeking to avoid delays from third-party carriers, the Seattle Times reported, citing cargo-industry executives. Amazon has approached several cargo-aircraft lessors to line up the planes, the newspaper reported on Friday, citing a senior aircraft-leasing company executive familiar with matter. 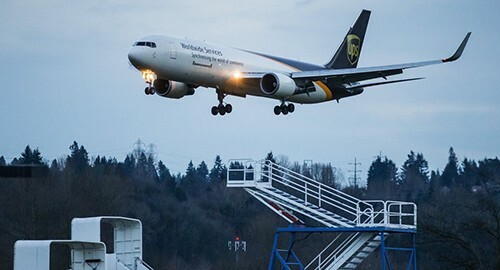 The ecommerce giant has had talks with Air Transport Services Group (ATSG), Atlas Air and Kalitta Air, Seattle Times said. Amazon expects to go beyond its Wilmington, Ohio trial run, being operated by ATSG, and start a larger air-cargo operation by the end of January, the newspaper said. ATSG and Kalitta Air could not be immediately reached for comment. Amazon, Boeing, and Atlas Air declined to comment.